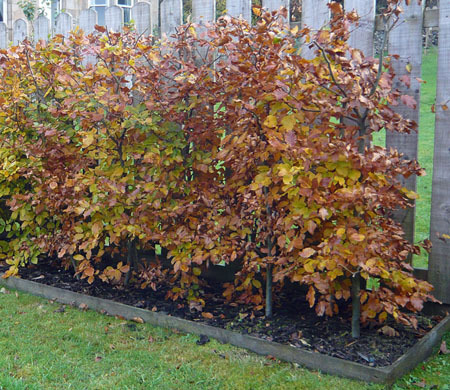 Fagus - Beech is a traditional english hedger, it has lovely green or copper purple, oval foliage that changes to yellow and then a rich russet brown in Autumn. 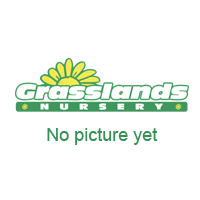 They do tend to keep hold of some of the leaves during the Winter months but they are mainly a deciduous plant. The leaves then start to bud up round February / March time and the leaves open from April onwards depending on the weather. Beech hedging should be pruned once or twice a year depening on how quickly it grows. In the second year of being planted it will grow quicker as it becomes more established. We would suggest pruning the hedge with loppers or if you have the time using secatueurs as it will leave the hedge looking tidier. The beech hedging doesn't really have any dislikes other than it doesn't want to sit wet. If you do have a wet flower bed you would be best looking at hornbeam.